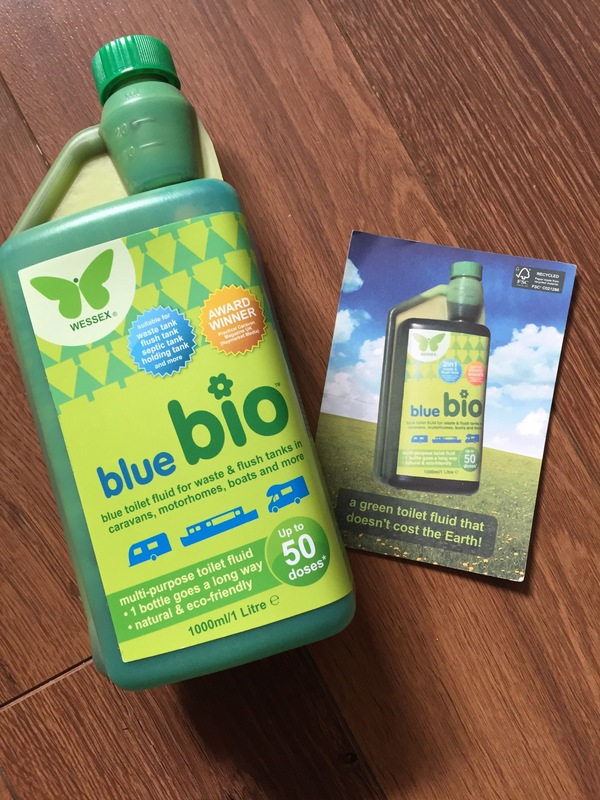 This toilet fluid for caravans and other leisure vehicles is very blue but definitely eco-green. Blue Bio may have got the answer to one bottle does all and correct dosing. We loved the fact that one bottle does everything. No need for pink for the flush and blue for the waste. Saving on cost and on having to transport 2 bottles around. We always feel disadvantaged too that we normally use more blue than pink. Retailers always put offers on twin packs of the two bottles! Why? We no longer have this problem, one bottle does everything! Quite reasonably and competitively priced too. This ‘blue’ does the flush and the loo! 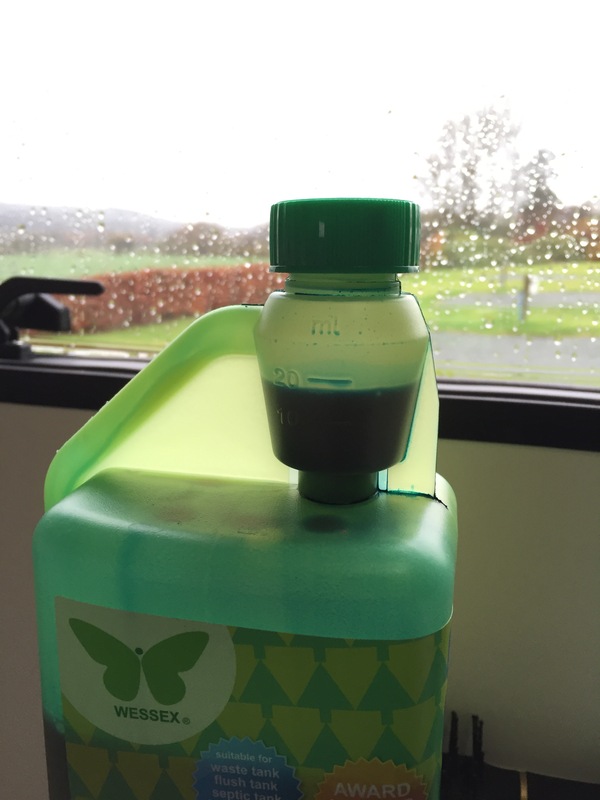 The bottle has a very clever dosing system making it easy to get the correct amount depending on whether you are doing the flush (10ml) or the loo (20ml). 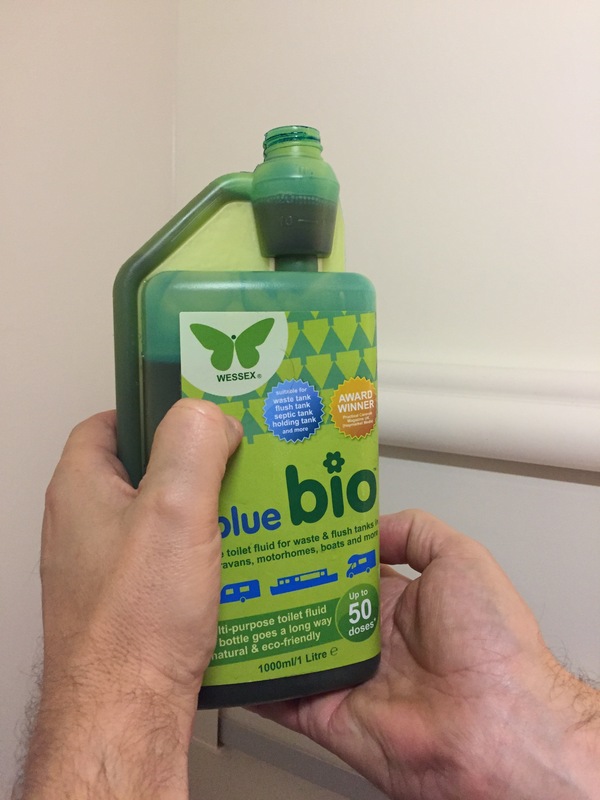 Blue Bio also cleans the flush tank as it’s used, hopefully avoiding black bits that some other fluids can cause and helping keep mould and limescale at bay. It is formaldehyde, glutaraldehyde and biocide free plus contains lubricants that help to protect seals and any moving parts it comes in contact with. It is important to make sure that any previous fluids you may have used are completely flushed through the system to avoid any reactions. It has a fresh smell when added and retains this smell throughout. I wasn’t too keen on the smell but this was the only negative I could find. It’s also completely non staining as I found out when I topped up the flush splashing the side of the caravan and my jeans. We also like the fact that you could add this to the waste tank internally via the loo knowing that if any gets onto the bowl it will flush away. How does it work? Well, not being very tech or chemical savvy, all I can say is that it is to do with good bacteria/bad bacteria, the ‘good’ waste consuming natural bacteria breaking down the waste in a non-hazardous method that the label states is 100% biodegradable.